As I'm writing this, I'm sitting in front of the window in our living room. The sun is slowly starting to set but it's still very bright outside. The flowers on our balcony look extra pretty in this late sunlight. They look so pretty that they could inspire you to start crocheting, for example something flowery, like... a flower doll perhaps? Well, it might have inspired us, but we didn't do it. However, we want to share someone with you guys who did exactly that! 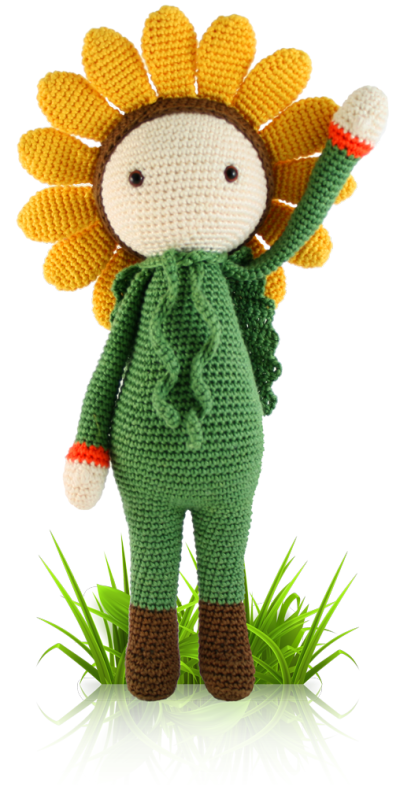 This man took his inspiration from beautiful flowers and turned them into crocheted dolls! A doll and flower in one! What's not to love?? Did I mention it's crocheted? And flowers? And dolls? Before reading the interview you might want to check out his lovely website! Click on the button below! His name is Bas den Braver and he's from a very (very!) lovely country called The Netherlands. He wrote to us a couple of months ago telling us how much he liked our website and if we were interested in a collaboration. We checked out his website and fell in love with his work! We weren't sure right away about how to do the collaboration. We discussed reviewing each others patterns but we hadn't been online very long yet and were so very busy and behind on things, that we were afraid we wouldn't be done with it until somewhere in 2019, considering all the things we still had to work on, plus our jobs! We came up with a solution though! We were going to interview each other! He sent us a list with all the things he wanted to know about us and so did we! It still took a good 3 months from his first message till writing this blog post today, but at least it's not 2019! Who are you Bas? Which words do you think other people would use to describe you? 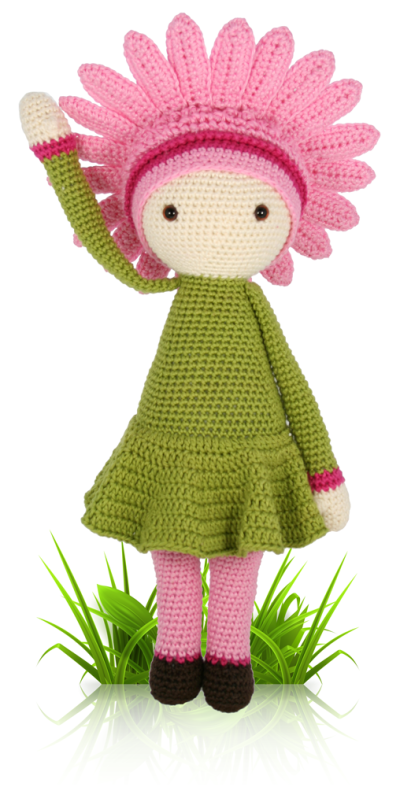 Zabbez is the name I promote my flower dolls under. 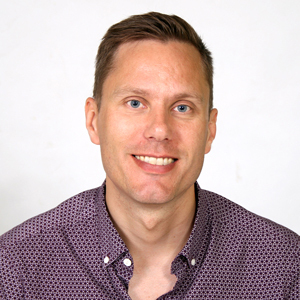 My real name is Bas den Braver and I live in the Netherlands in the city of Rotterdam. I have a background in webdesign and fashion and I am always busy creating beautiful things that make me and others happy. Judging by the comments I get from my friends, I think people would describe me as kind, enthusiastic and creative. 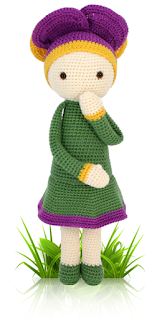 How did you start crocheting and who taught you? I started to crochet a few years ago. I spent several hours on youtube watching instructional videos on how to do the different crochet stitches and just started practicing. It wasn’t long before I made my first granny square and soon after that I got interested in making amigurumi. How did your friends react to your crocheting? My friends have always known me as a creative person. At first it was just another one of my many hobby’s. With Zabbez it got more and more serious. They are very proud of me. What was the first thing you ever crocheted, and do you still have it? The first thing I ever crocheted was a simple granny square. I do not have it any more. I just wanted to figure out if I would like to do crochet, so I bought the cheapest yarn I could find and the cheapest crochet hook available and just gave it a go. I tried to make a blanket, but the grannies came out in different sizes. I needed to work on my skills. The project was soon binned and I started on another. Being a man, would you feel comfortable crocheting in public? How do you feel about this? Yes, I would feel comfortable crocheting in public as a man. However, I seldom do. Most of the time I am making or designing amigurumi and it requires me to carefully write down the pattern, make notes, try different shapes, adjust, write down corrections, etc.. This is much easier at home at my desk with my laptop. Your (very cute) patterns all (almost all) revolve around flowers, was this always your plan, or did it just happen? Tell us a little bit more about how this came to be! I have always been inspired by nature, flowers and plants. It is something that has penetrated in many aspects of my life. 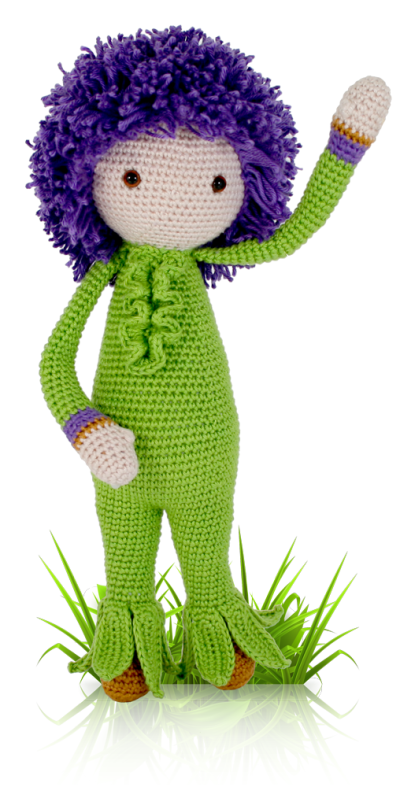 When I started to design a crochet doll I wanted to create a little person that could live in a world of its own. A hidden world, in nature, all around us. So I started experimenting with different flower bulb shapes for the body, different flower options for the head and so on. I wanted it to be a flower, but still a little person everybody could relate to. And then Sunflower Sam was born. Are there designers out there who inspire you, or have inspired your projects? I get inspired by a lot of designers from the well known to those of whom I don’t even know their names. I love documentaries about artists and I love surfing the web and visiting museums. It is about a feeling of wanting to create something beautiful that triggers me. The biggest inspiration I get from any designer is that creativity is a process and you always have to keep changing and always reinventing yourself. Do you have any plans for the future of Zabbez? A different line of patterns? I would love to do a lot more patterns, including a different line of patterns. Or maybe one day publish a booklet. 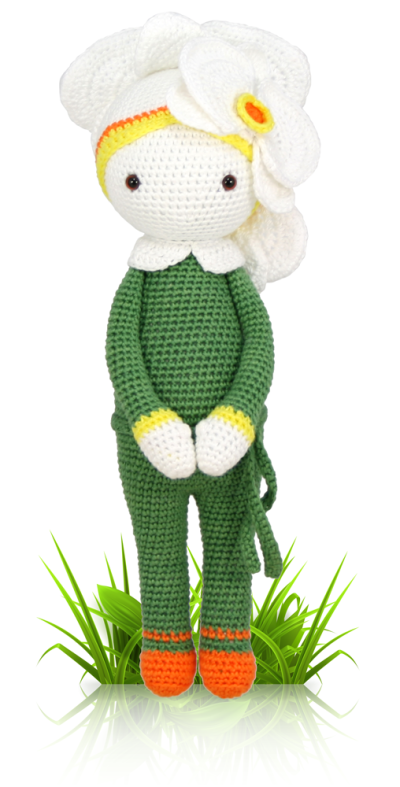 At the moment however, I get a lot of requests for more flower dolls, so I think I will be making a lot more of those in the near future. Would you say crochet changed your life? (a bit cheesy, we know ;-)). Haha, well, yes in a certain way it has. 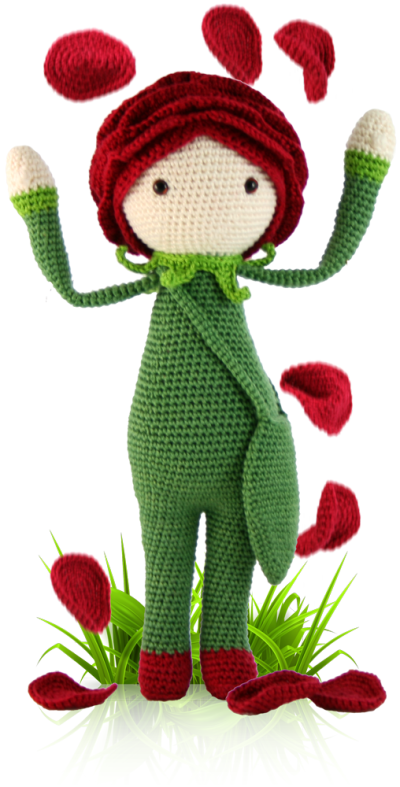 My flower dolls have become very successful and I am very grateful for that. I could not have imagined I would become a crochet designer, but I did. I love designing and making crochet patterns and it is something that makes me very happy. Out of all the patterns you’ve made, which one holds a special place in your heart? That must be Sunflower Sam. This is the doll that got Zabbez started. I wrote an article on the Making of Sunflower Sam here: Sunflower Sam . Sunflower Sam will always be special to me. The pictures of your dolls are very beautiful, do you photograph everything yourself? And would you agree, that photography is a big part of the success of a product? I photograph everything myself. The photography of the dolls is very important and I love doing it. It gives me the opportunity to let everybody see what the dolls look like and to give them an insight in the unique character of the doll. The photography helps to bring the flower dolls to life. Do you have any other hobby’s besides crochet? Besides crochet I have a lot of hobby’s which I do on and off depending on my schedule. I also love to photograph, knit, paint or do webdesign. Currently doing crochet takes up most of my time. What other fun facts would you like us to know? Not really a fun fact, but I want to thank you for the interview. 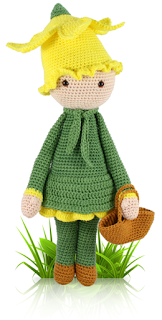 It was a pleasure to answer your questions and I hope it will inspire others to bring a little more happiness to their lives with a cute and happy flower doll. We want to thank Bas for taking the time to answer all of our questions! It's so interesting to read the stories of fellow crafters! 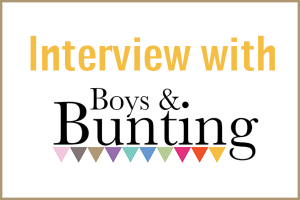 We hope to do some more interviews in the future with crafters that inspire us! If you want to read our interview, click here or on the link below! Inspiring to know that there are other guys who crochet. It's traditionally seen as the domain of the ladies, but there's no reason it should be!